This article provides an example of a process for registering a document with a past date. Registration Number - String type. 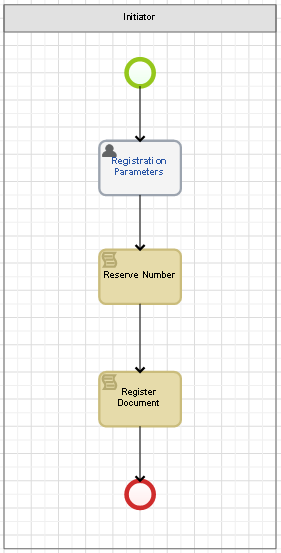 In the Registration Parameters task, you need to fill in the data for reserving a registration number and registering a document (fig. 2). For the business process to work correctly, the scripts for reserving a number and registering the document must be executed in separate activities (fig. 1), otherwise, an error will occur. To create a reserved number, use the ReservedRegNumberManager class. You can find examples of other scripts for registering documents here.